The continuing adventures of Tim as he finds other robots out in the galaxy who have banded together to keep themselves safe. Or do they have ulterior motives for Tim? A future scifi about a galaxy out to destroy all robots or androids after their worlds were decimated by mysterious, planet-sized robots. Tim, a long dormant robot programmed to keep his "brother" company on a distant mining planet, awakens 10 years after the incident, and inadvertently advertises his presence. There are bounty hunters out for him and members of the galactic council as well, who want to try to find the link between his OS and the giant robots. 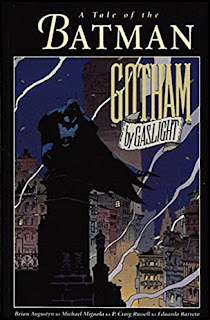 One thing that I think is a great touch with this series is the artwork is rendered in watercolor - not something I would associate with a sleek, futuristic graphic novel. But it works so well. A great re-introduction of Zahn's creation Thrawn in the current canonical Star Wars universe, who had been part of the old Expanded Universe Star Wars books before Disney did away with those. 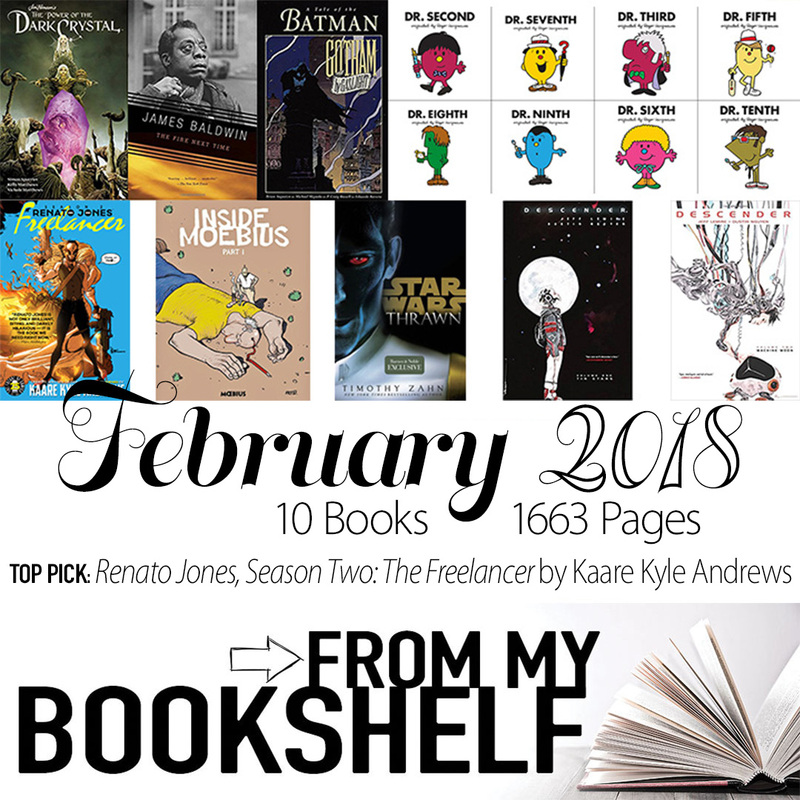 The definitive origin of this mysterious character, I also think fans of the Star Wars: Rebels television series will find this particularly enjoyable as it fleshes out numerous characters that have appeared in that series. And again, as with other books in the new canonical SW literary universe, there are several hints at events past, present, and future that have not been touched on yet. 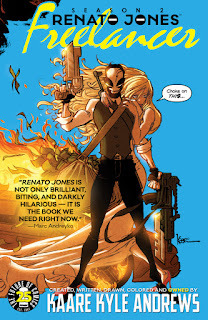 My hope is that eventually these events will be revisited in either the movies, books, or comics; this is one of the reasons that I'm enjoying the expanded, connected storytelling going on with the new streamlined timeline, that there is so much potential in these stories, and that they have actual impact on other stories being told. I'm definitely looking forward to the followup, Star Wars: Thrawn: Alliances (Thrawn and Darth Vader! 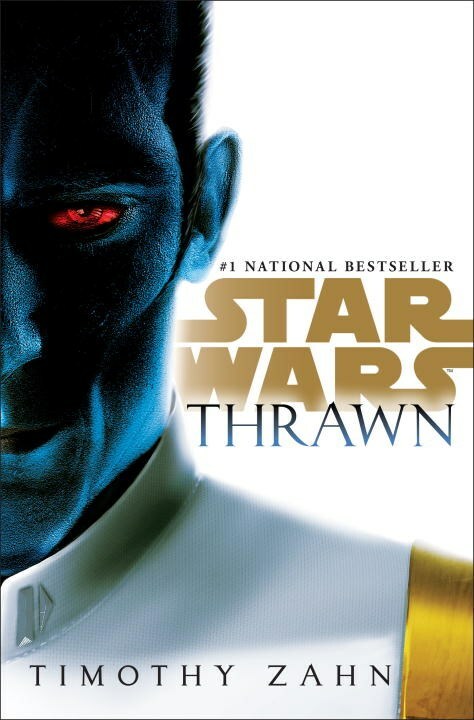 ), and I'm thinking about picking up the original Thrawn Trilogy from the Legends imprint (the old Expanded Universe books). The description for this book is far too simplistic an explanation for what this book is about; it is far more than just Moebius illustrating himself interacting with his own creations. Inside Moebius is an illustrated journal he kept after he decided that he wanted to stop smoking weed. He was working thru his feelings about his decisions, using his characters as foils to discuss his thoughts. Eventually, he even works a younger version of himself into the story. As time moves on, real world events begin to encroach into Moebius' conscious, most specifically the events of 9/11. This was obviously a remarkable event in his life (as it was for everyone), and to work his way thru this he introduces Osama bin Laden as a character in his journal, discussing bin Laden's motivations behind the 9/11 attacks. 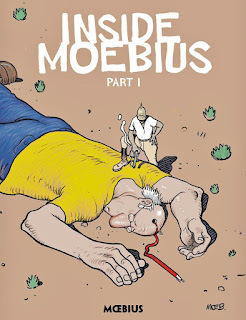 Overall, this is a fascinating look into Moebius' mind as he works his way thru freeing himself from his addiction and dealing with real world events. It's not often that we are given such an intimate look into the thoughts and feelings of an artist, and I found this entire volume enthralling. I'm loving Dark Horse's new Moebius Library. 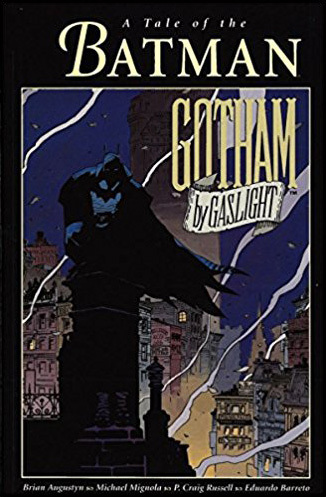 I've been a longtime fan of his artwork, but with much of his work published in his native France, it's not always been easy to track down his work, especially when some of it was never translated into English. 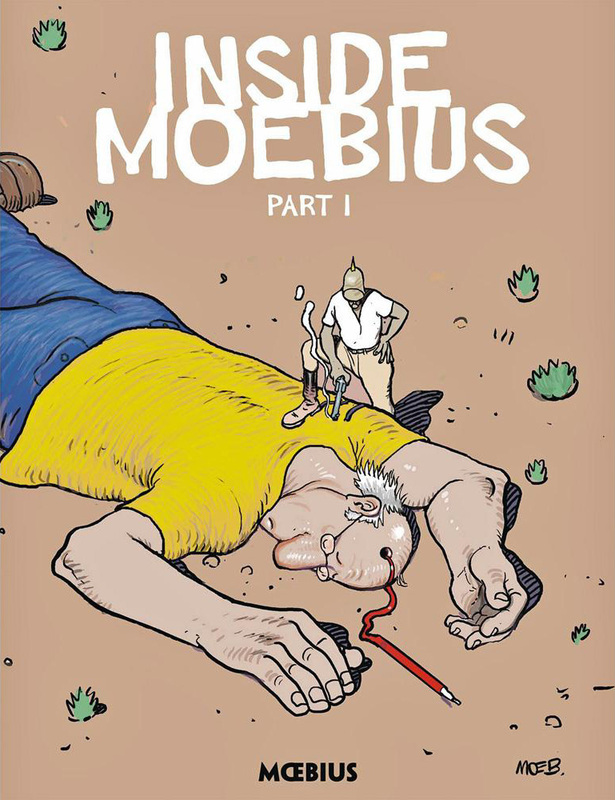 Inside Moebius was originally published in six volumes, and Dark Horse is now releasing it for the first time in English as a three volume set. With the Inside Moebius series, and the two previously released Edena books, Dark Horse is providing us with some fantastic reading from one of the finest cartoonists of his time. 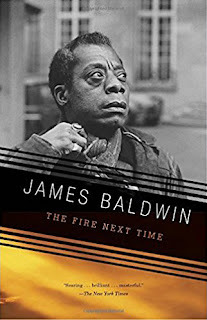 The second selection from David Bowie's son's online book club honoring Bowie's love of books, Baldwin's The Fire Next Time was originally written in the 1960s, and is just as important today, if not more so as it shows just how little we've come as a society. Collecting a letter that Baldwin wrote to his nephew on the the hundredth anniversary of the Emancipation and an essay on Baldwin's thoughts about where the country was at the time in regards to civil rights, it's disheartening to think that he could just as easily be writing about the current climate in the US. Picking up 100 years after the events of The Dark Crystal, the land of Thra is lush and vibrant, a world basking in the glow of the healed Crystal. Or, at least that's what the Crystalline Eminence wants everyone, including Jen and Kira, to believe. Jen and Kira slumber in the glow of the Crystal, trusting that the world of Thra is still at peace. In their absence, the Crystalline Eminence has convinced the inhabitants of Thra that in order for them to bask in the glow and be healed by the Crystal, they must bring tributes to the Crystal, and without a tribute, they are turned away. This is not the world that Jen and Kira dream of in their slumber. Thra is sick, and they are unaware. When Thurma, a young Fireling (beings who live in the flames of the core of Thra), is sent to beseech help from the Gelflings who rule Thra, she sets in motion events that she does not truly understand, because she is sent to request a shard of Crystal, which her elders say will rekindle the dying flames of their world. When she is turned away, Thurma takes matter into her own hands and cracks the Crystal again, freeing once again both the Mystics and Skeksis. As she flees the Castle of the Crystle, Thurma is entirely unaware of the evil that she has let lose into the world again. I loved this story. Based on a script that was written as the sequel to the film, this reads just like the original movie feels. All of the characters from the film make an appearance, including Aughra and Fizzgig, and everyone feels like themselves. 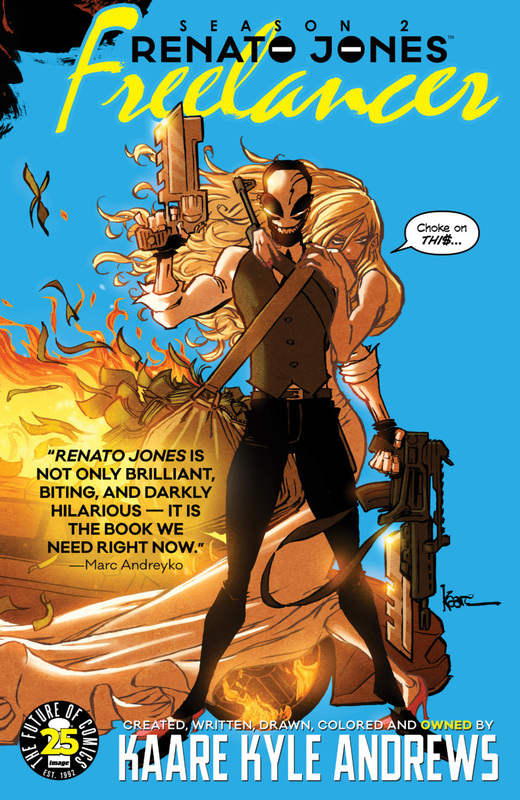 Simon Spurrier has expertly captured the characters voices and personalities. Kelly and Nichole Matthews' art is spot on perfect for this project, with a lovely natural flow to the art that breathes life into the land people of Thra. I wish this had been made into a film; I'm wildly curious as to how they would have created Thurma in puppet form. However, being given the opportunity to read what could have been in film is still just as thrilling. 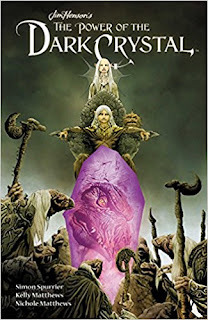 If you're a fan of The Dark Crystal, this is essential reading.